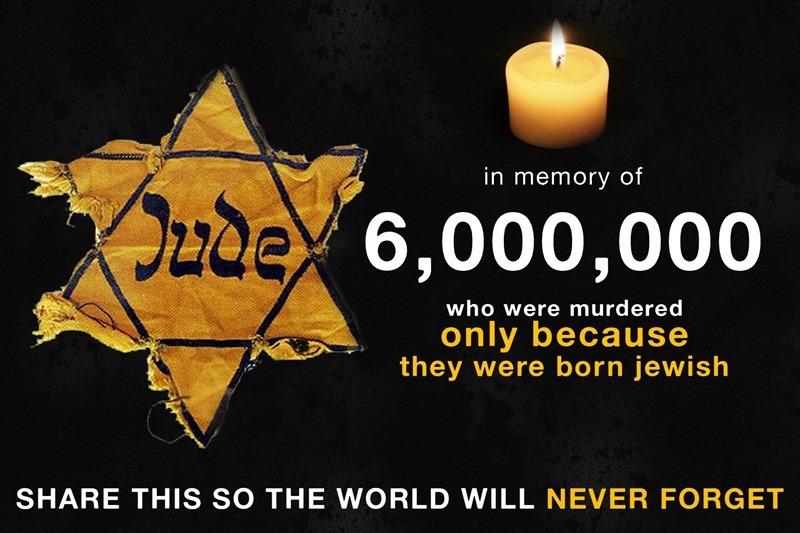 Yom HaZikaron laShoah ve-laG’vurah (יום הזיכרון לשואה ולגבורה; “Holocaust and Heroism Remembrance Day”), known colloquially in Israel and abroad as Yom HaShoah (יום השואה) and in English as Holocaust Remembrance Day, or Holocaust Day, is observed as Israel’s day of commemoration for the approximately six million Jews and five million others who perished in the Holocaust as a result of the actions carried out by Nazi Germany and its accessories. and for the Jewish resistance in that period. In Israel, it is a national memorial day and public holiday.